On the last day of the West Coast Pipe Show, as things were starting to wind down, we were finally able to corner Marty Pulvers, one of the show’s organizers. Marty has a long history in the pipe business. For nearly 20 years, he owned and operated the retail shop Sherlock’s Haven, in San Francisco’s financial district. His store was given the honor of being named one of the ‘10 Best Tobacco Shops In The World’ by Forbes Magazine online. 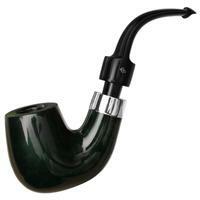 He closed his store in June of 2006 and now operates an online store selling both new & estate pipes. 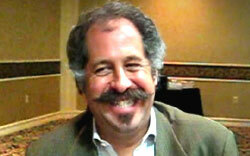 Here is Cynthia Sargent’s 7-minute interview with Marty talking about what the West Coast Pipe Show offers to the world of pipe smokers and collectors. 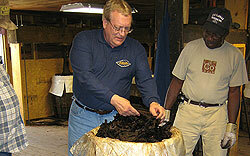 Russ Ouellette is the tobacco blender of the widely popular Hearth & Home pipe tobacco blends. There are over 30 blends covering a wide variety of styles and tastes. Hearth & Home has Aromatics to English and everything in between, and they are all high quality tobaccos that have received numerous rave reviews. Russ presented a detailed and informative seminar on "Tobacco Blending Basics" at the West Coast Pipe Show in Las Vegas during the first weekend in November. He spoke of the different flavor characteristics, room note characteristics, burning quality, finish (or aftertaste) and how these are all different with different types of tobaccos. By knowing the different qualities of Virginias, Burleys, Orientals, Latakia, and Perique, plus the different flavoring agents and sweeteners, you have the basic building blocks of creating pipe tobacco blends. PipesMagazine.com’s Cynthia Sargent talked to Russ after his seminar. 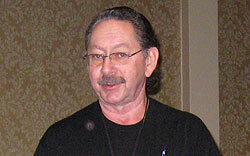 Here is our exclusive video interview with Russ Ouellette. Gary B. Schrier, the owner of Briar Books Press, has some unique book offerings specifically crafted for the pipe enthusiast. 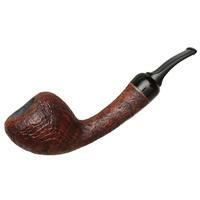 He has published the only existing "lifestyle guide" for the pipe smoker (and collector) titled, "Confessions of a Pipeman". He has also brought back to life several out of print books and catalogs. 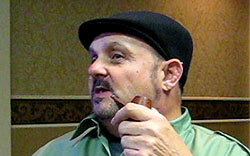 Gary was one of the featured speakers at the recent West Coast Pipe Show in Las Vegas. PipesMagazine.com’s Cynthia Sargent was on location for a sit-down, on-camera interview with the "contentious" yet entertaining and warm Mr. Schrier. The 2nd Annual West Coast Pipe Show was held during the first weekend in November in Las Vegas, Nevada, and PipesMagazine.com was there covering this unique event for pipe enthusiasts on the west coast. Bob Swanson, the pipe maker behind Perry White Pipes presented the first seminar of the show, which was informative, entertaining, and even slightly provocative depending on your opinions of what the "rules" are for pipe smoking. 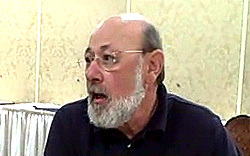 PipesMagazine.com’s Cynthia Sargent spoke to Bob for a few minutes on camera, so please enjoy our brief video interview with pipe maker and collector, Bob Swanson. One of my favorite books is "The Alchemist" by Paulo Coelho. The basic message of the book is to throw away conventionality and practicality, and to follow your dreams instead. Then you will find true happiness and success. This message is prevalent throughout many of Coelho’s books, and one I subscribe to. However, it is not an easy thing for most people to do. That’s why I took great delight in meeting a man that has truly followed this philosophy. 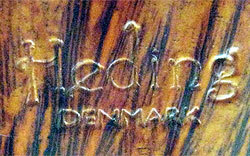 Danish pipe maker, Peter Heding holds a Ph.D. in molecular biology. He worked in researching treatment strategies for Type 1 Diabetes. Then he discovered pipe making. 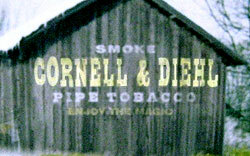 If you’ve been smoking a pipe for at least a year, chances are that you’ve smoked at least one blend of pipe tobacco made by Cornell & Diehl. If you’re like me, then you’ve smoked a little over 10 blends, have several un-opened tins you still need to try, and have some real favorites in the C&D line-up. However, if this is the case, you haven’t even covered five percent of their selection. 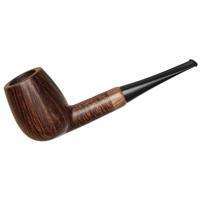 The company produces a roster of about 250 pipe tobacco blends. They are processed, blended, and packaged in their 5,500 square foot facility in the beautiful rolling hills of Morganton, North Carolina. 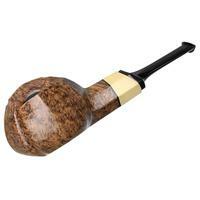 In addition to producing blends under the Cornell & Diehl brand, they also produce the quite popular boutique brand, G. L. Pease, plus Captain Earle’s for Hermit Tobacco, and Low Country Tobacco for SmokingPipes.com. PipesMagazine.com Publisher, Kevin Godbee spent half a day touring and filming the plant, and talking to Craig, Chris and Patty Tarlar and enjoyed pizza with the employees. St. James Parish, Louisiana - On March 20, 2010, the L.A. Poche Perique Tobacco Factory celebrated the 50th Anniversary of Operations Manager, Curtis Hymel’s service to the company. If you are one of the pipe smokers that loves Perique Tobacco, there is an important significance here to the legacy of Perique. In our article, The Mystique of Perique, you can read about how Perique Tobacco almost became extinct if it weren’t for Mark Ryan of D&R Tobacco buying the Poche company in 2005. During the celebrations yesterday, Mark spoke to the crowd and told us that when he came down to St James Parish and bought the company, he had two big problems. 1) He didn’t know anything about Perique, and 2) The farmers didn’t want to grow it anymore. Without the the help of Curtis Hymel, the man who had worked in the factory his entire life, the turnaround of Perique production would have never happened. They improved the production to only use the best practices in processing and aging so Perique would flourish and grow. They are now increasing the supply to grow the market larger than it ever. They also worked with the farmers to give them more incentive to grow Perique. Here is a video clip of the awards ceremony. The 50th Anniversary Party for Curtis Hymel included a live band, open bar and a Louisiana style feast that couldn’t be beat. There were about 60 people there including members of the Poche family, Perique farmers from several different farms, Santa Fe Natural Tobacco Company Account Executives Kim Trahan and Rami Bourgeois, and Senior VP Mike Little. Members of the press included; myself - Kevin Godbee, Owner of PipesMagazine.com, Fred Lockwood, Director of Lockwood Publications, publisher of Smoke Magazine among others, and the local newspaper covered the event as well. I actually ended up hanging out with Fred from Smoke Magazine for the last couple of hours chatting and having a good time. PipesMagazine.com was the exclusive media to see the advanced unveiling of the new Decade Series Perique Tobacco before it was announced to anyone else - a day in advance of the actual media event. 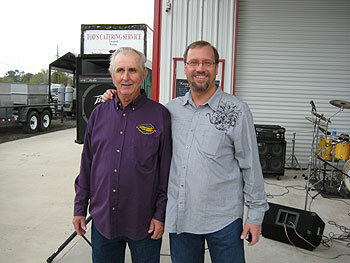 On Saturday March 20, 2010 L.A. Poche Perique Tobacco celebrates the 50th Anniversary of Curtis Hymel, their Operations Manager’s service to the company. All the tobacco press was invited. However, a day earlier, on March 19, PipesMagazine.com owner, Kevin Godbee got an advanced tour of the factory and a preview of the announcement to come the next day. Here is Part III and the Conclusion of our interview with Michael Gladis, who plays the pipe smoking copywriter, Paul Kinsey, on AMC TV’s Mad Men. If you missed it in the beginning, Mr. Gladis smokes a pipe in real life, and we enjoyed smoking during the entire interview. We sat down in the private smoking lounge at Davidoff of Geneva in New York City, while we smoked an exclusive blend from Nat Sherman in NYC, called Old Oxford Blend No. 649. Michael liked it so much, that I gave him my bag. We continue our interview with Mad Men’s Michael Gladis where we find out how he got started as an actor. We talked about his favorite scenes playing Paul Kinsey. There is footage from different Mad Men shows including scenes from Season 3 which are not yet available on DVD, but AMC TV was kind enough to provide us with. We asked Michael if he will be in Season 4, and we asked him to sing for us like he did on the show. Michael is skilled in boxing, fencing, chess, art and several other activities. He is a Renaissance Man of sorts. 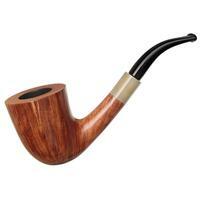 Michael is certainly an example of how pipe smokers are special people. We also continue to talk about pipe smoking and discuss Michael’s thoughts on how the political environment has drastically changed for smokers.